June UFO complete! 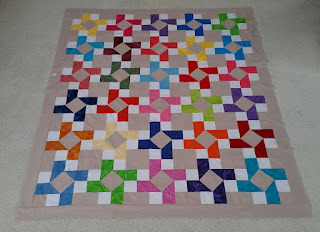 This was another win of blocks from Sunshine Quilters awhile back. The pattern is called Rotation. I had to make an additional 7 blocks to finish out the quilt. 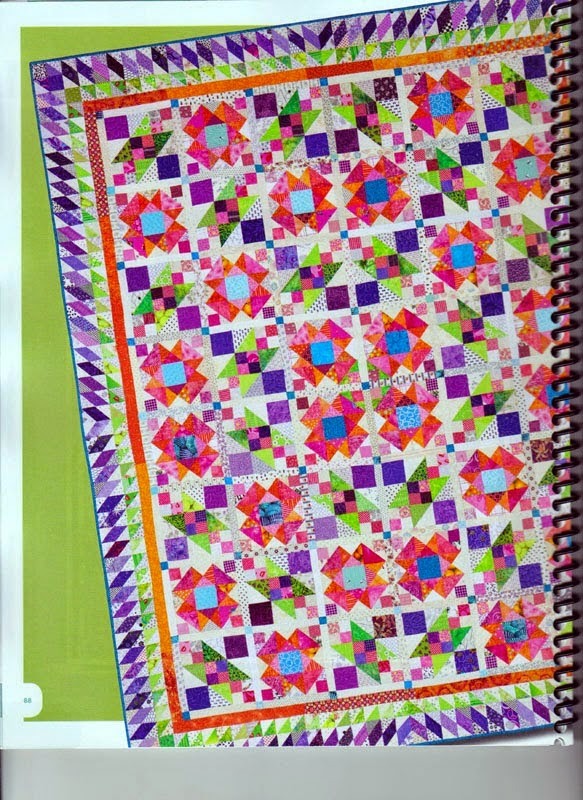 Next up to find a backing and add to the quilting que. 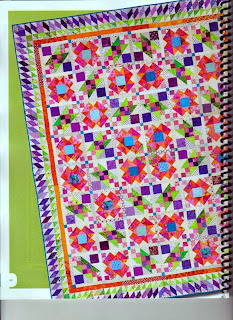 For July I will be working on UFO # 12, Lazy Sunday, along with getting a few more of my Dear Jane Blocks completed! Congrats on a bright and cheerful finish! Rotation looks great. I can not wait to see Lazy Sunday, I really like that one! Congratulations on meeting your June goal. Best wishes for Lazy Sunday this month!